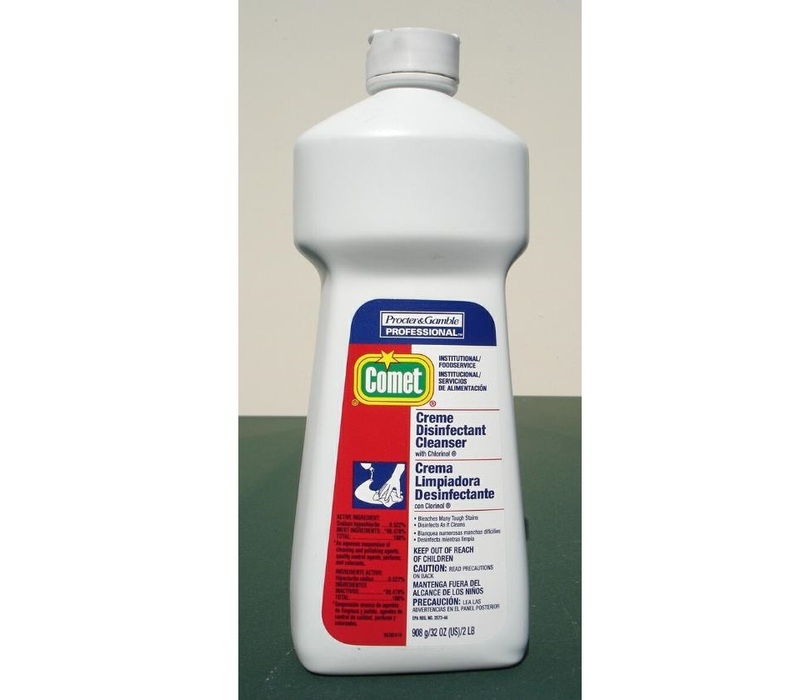 This product is a liquid chlorinated cleanser containing a soft abrasive that scours and cleans stainless steel and porcelain surfaces without scratching. It clings to vertical and hard-to-reach surfaces, like toilet bowls. It is effective at removing malodors from surfaces. Each bottle has a portion control, flip-seal closure.